Welcome to The Bottesford Bar! Welcome to the official website of The Bottesford Bar. This website is dedicated to a home run bar/nightclub and the people that spent many hours in it. The site is no longer updated in any significant way and stands as a monument to a different era... before the likes of Facebook removed the need for 'personal' websites. If you've just stumbled across us then do take a look around and see if it any of it makes any sense to you (probably not!). If you've come with a purpose then the following links will get you started. From a small group of like minded 18 year olds who had the vision of running a bar... into a small bedroom of a load of drunken fools falling about the place it shaped the lives of a good few people over a period of 3-4 years. Although the bar itself is now gone, it's legacy lives on through BOTTES-parties, the consumption of intoxicating liquids and all the technology we developed and paid for as part of running the place. 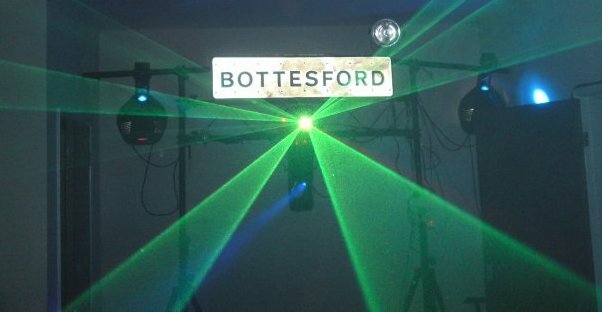 Perhaps in another 10 years you'll see a real life Bottesford Bar in a city centre near you? UPDATE (13/10/2010) - The same statement still stands only we're now at over 12 years of age! Ever wondered what the area surrounding Chernobyl Atomic Power Plant now looks like? These photos were taken on a recent (July 2008) trip to Ukraine which included a day trip to the Chernobyl Exclusion Zone. See the power plant itself as well as the ghost city of Prypyat - once home to 50,000 people.